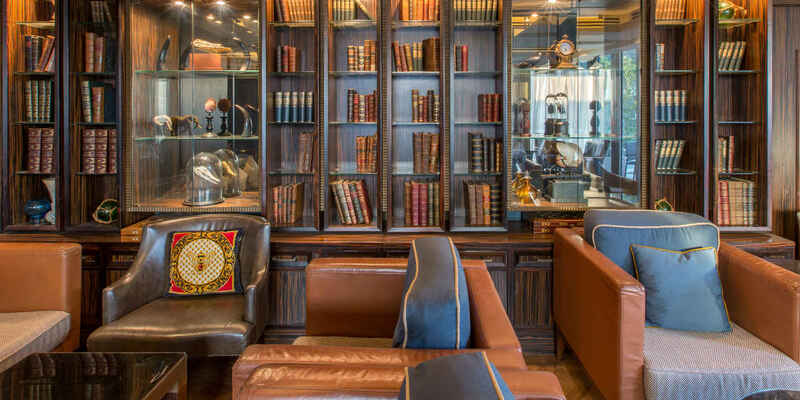 Andrew Woodward delves into the secretive world of the private members’ club and shares which memberships you should have now. 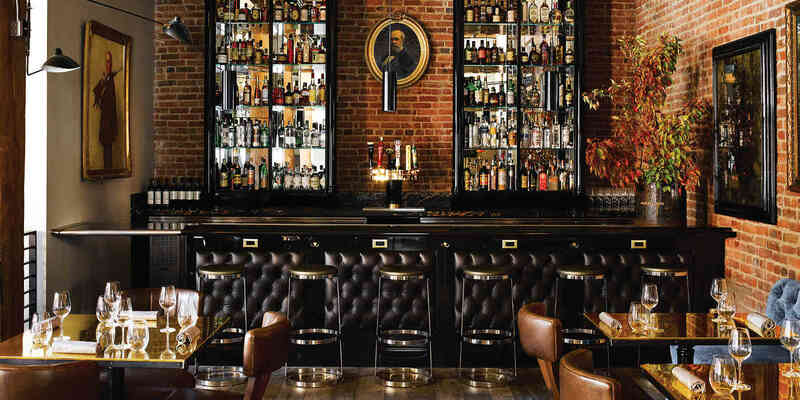 A certain image comes to mind when discussing members’ clubs: whisky swirling in fine crystal, a fire in the grate, perhaps a stag head or two mounted on the wall. These clubs may have their roots in such imagery, but their modern incarnations may prove surprising. The ‘old boys’ mentality has largely given way to a bold spirit; it is within such establishments that the world’s leading entrepreneurs, cultural icons and creative powerhouses gather to exchange ideas and break new ground. The central tenets of privacy and exclusivity remain, however – as does a proclivity for exquisite decor, state-of-the-art facilities and bespoke service – prompting a global resurgence of the private members’ club. Core describes itself as an “anticlub”: there’s no dress code, mobile phones are permitted and members are invited to conduct the “business of life”. Located in midtown Manhattan, you’re likely to run into the likes of Starbucks CEO Howard Schultz or perhaps Bill Clinton. Once you cover the US$50,000 joining fee and US$15,000 annual fee thereafter, you’ll need to be recommended by a current member, and then there’s the matter of finding the place (the foyer is accessed via a secret entrance tucked into the side of a building). After navigating these obstacles, however, expect carefully curated cultural experiences ranging from private concerts to conversations with global leaders. There’s no choice to be made between business and pleasure at Dubai’s invitation-only Capital Club, where “your office away from your office” is complemented by the highest level of comfort and cuisine, and unmatched personal service. Whether in one of the elegantly furnished meeting rooms or on a fourth-floor terrace with views of the Burj Khalifa and the International Financial Centre, this is the place for closing multi-million-dollar deals. After being approved by the Membership Committee, a rumoured US$15,000 joining fee will get you through the door and buy you access to social events including lectures by prominent speakers from the upper echelons of business, finance and politics. For over 700 years, the sea has been a defining influence in the Principality of Monaco, serving as the foundation of the city-state’s economy and its favourite leisure pursuits. Founded in 1953 by Prince Rainier III, the club’s exclusive membership endeavours to balance maritime heritage and progressive values with environmental preservation. Prospective members need two sponsors and approval by club president HSH Prince Albert II. The clubhouse, designed by Lord Norman Foster, overlooks YCM’s dedicated marina and features a nautical-themed library, a restaurant, an outdoor swimming pool, a gym, meeting spaces and a ballroom. This avant-garde enclave in a former candy factory bills itself as a “living social experiment”, accepting members from a range of industries and backgrounds. The five-storey space opened in 2013, offering membership perks such as access to exclusive events, from wine tasting to live music (including a members-only appearance by Snoop Dogg). Membership also gives you access to a 120-seat restaurant, bars, a library, spa, gym, a wine cellar, event spaces and the Battery Collection gallery. The club’s boutique hotel is topped by a penthouse with a wraparound rooftop terrace. Considerably older than many of its counterparts (King Edward VII went pigeon shooting here) this club is often described as ‘a green oasis’ springing from the hubbub of London. It’s rather a large oasis at that, sprawling across 17 hectares of immaculately manicured grounds, first-class social and sporting facilities and a regal clubhouse with countless rooms and terraces. It may take a while to join its prestigious ranks, though; the waiting list is currently closed “subject to annual review” according to the website. The 57-bedroom house in Barcelona is the latest in this network of creative clubs. The first Soho House was founded in 1995 in London, as a ‘home away from home’ where leading lights of the arts and media can gather, eat and drink. There are now 20 clubs, including Houses in London, New York, Chicago, Berlin, LA, Istanbul and Toronto. A Soho House in London is even said to have played host to the first date between Prince Harry and Meghan Markle. For those who don’t live in a city with a residence, Cities Without Houses memberships are available in 37 metropolises, including Sydney. 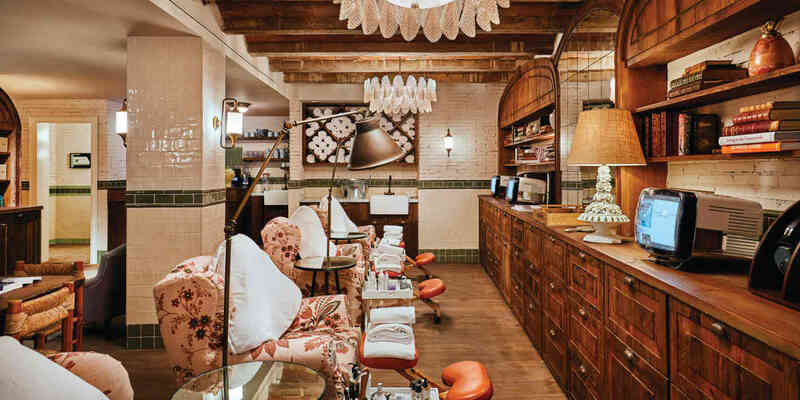 As well as restaurants and bars, Soho Houses may feature pools, gyms, screening rooms and spas. While megacities such as London and New York are undoubtedly the most fertile ground for private members’ clubs, Sydney is able to boast its own such exclusive destination. Founded in 1838, The Australian Club is the oldest gentlemen’s club in the Southern Hemisphere. A skilful blend of tradition and modernity throughout the business and dining facilities, ensuite bedrooms and apartments and extensive library – not to mention the enviable views of the Royal Botanic Garden – has resulted in notable memberships including Malcolm Turnbull and James Packer. Consider this Monégasque hideaway the world’s most sophisticated sports club, frequented by high-profile international athletes, from football stars to Formula 1 drivers. 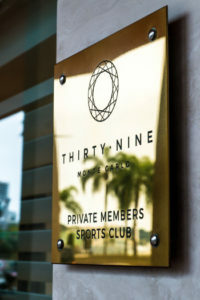 The brainchild of ex-rugby union player, Ross Beattie, 39 combines a state-of-the-art fitness studio with a wellness and beauty centre in a chic, discreet social hub, complete with restaurant (the innovative menu is designed by sports nutritionists and top chefs), members’ lounge and cigar terrace. The highlight is the sprawling, multi-zone Sports Floor, hailed by members as the world’s best gym, complete with training zones, an altitude chamber, personal coaching from professionals and personal body assessments. With its rich use of red, blue and gold, this prestigious club offers quite a contrast from the classical aesthetic of The Ritz Hotel above. While best known as a casino and gambling club (located in the hotel’s former ballroom, refurbished in the style of the Train Bleu restaurant in Paris’ Gare de Lyon), the sumptuous venue also promises the finest dining in grand surrounds. Mirrors painted with roses double the sense of space, arabesques swirl on the ceiling and original Edwardian cornices glitter with gold leaf, while the menu is overseen by chef de cuisine Philippe Van der Walle. The bar is characterised by its flamboyant blue glass chandeliers, but the design highlight is the Amber Room, inspired by the chamber of the same name in Russia’s Catherine Palace. Members also have the use of limousine transfers and a dedicated concierge service. British entrepreneur Mark Birley was at the vanguard of a new breed of liberated members’ clubs when he opened Annabel’s in 1963. Presidents and royals (even Her Majesty has paid a rare visit) have gathered at the 44 Berkeley Square subterranean den to see performances by the likes of Ella Fitzgerald and Lady Gaga. Last year, Annabel’s closed its doors for an unprecedented move … next door. The opulent club reopened earlier this year at number 46, transforming from a nocturnal operation into a day-night affair; the new highlight is an all-weather terrace under a glass rooftop. The four-floor complex invites members to mingle at four restaurants, seven bars, two private rooms and a cigar lounge. There is even a dog-walking service on offer for some of London’s most pampered pooches. Established in London in 2004, h Club is the brainchild of the late, great Microsoft co-founder Paul Allen and internationally acclaimed musician Dave Stewart. The dynamic pair’s vision of a collaborative hub for creative innovators was brought to life so successfully in the Covent Garden location that the club opened the doors to its first extension in Los Angeles on February 28. Fittingly located across the street from the Capitol Records building, h Club Los Angeles features a music studio, screening room, rooftop cinema and live performance space, complemented by a carefully curated program of industry-specific events and mixers for members. The focus on creative collaboration is met by a dedication to exclusivity and luxurious comfort, with 35 spacious bedrooms, a full-length outdoor pool, a gym and a hair and beauty salon available to members. An elegant rooftop restaurant and garden look out over Hollywood. Membership provides access to all spaces and facilities in both LA and London and costs $2,600 per annum after a $400 joining fee, but under 27s pay $1,250 per annum with a $250 joining fee and secure this rate until their 30th birthday. … the private club being built within London’s Admiralty Arch as part of its transformation into Waldorf Astoria-managed hotel and residences. It’s sure to become a coveted membership when it opens in 2022.